In its continued effort to attract law schools and law school applicants to consider respectively accepting or taking the GRE, ETS has created a tool to give a rough conversion (± 5 point margin of error!) between given GRE scores and LSAT scores. The margin of error says it all: it’s hard to argue that the tests are commensurable when we could be dealing with 30+ percentile rank differences. However, the tool is not without its merits. First of all, it is based on the same data behind the national validity study the results of which ETS published last year. In a sense, when you use this tool, you have the same information at your fingertips that ETS and the law schools that rely on this data have. Second, even though it’s imperfect, it is based on data from roughly 1,600 applicants who took both the LSAT and the GRE. Thus you can get an idea both how you might expect to do on the LSAT given your GRE scores. This latter point is the biggest problem with ETS’s published tool. 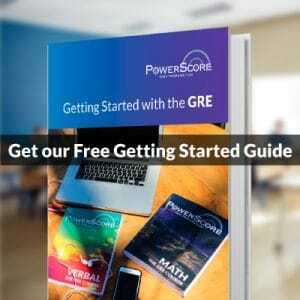 While you might be curious how a GRE score converts to a comparable LSAT score, what if you’re interested in the other way around? What if you want to know how an LSAT score could convert into a comparable GRE score? ETS’s tool is unidirectional, from GRE to LSAT, but the underlying data could work backwards as well. Therefore we studied the data behind the tool and created our own matrix conversion chart to show how GRE scores can be converted into LSAT scores, and vice versa! Ready to check it out? Here’s the link to our Score Conversion Matrix. Read below for instructions on how to interpret the data and a discussion of its implications. A GRE-V of 160 and GRE-Q of 140 correlate with a 155 on the LSAT, whereas a GRE-V of 140 and GRE-Q of 160 correlate with a 150 on the LSAT, a 20 point percentile difference in LSAT scores. This relationship is borne out across multiple data points. Is ETS choosing to weigh Verbal more heavily? Not exactly. ETS’s model relies on observed correlation between GRE-V scores and LSAT scores. This may seem intuitive: GRE-Verbal tests more of the skills tested on the LSAT than does GRE-Quantitative. GRE-V of 150 is a 47th percentile score. GRE-Q of 150 is a 39th percentile score. GRE-V of 160 is an 85th percentile score. GRE-Q of 160 is a 76th percentile score. In fact, even if you get a perfect score on GRE-Q, this still only places you in the 97th percentile of test-takers. The GRE, unlike the GMAT, does not give a combined percentile score. Thus the shared skills tested on GRE-V and the LSAT do not entirely explain the stronger correlation between these scores. Some of this correlation is likely explained by the differing normalized score distributions between GRE-V and GRE-Q. Who Might Use this Tool? Let’s consider a possible usage scenario. If you are an applicant to Columbia’s JD/MBA program, you might wonder which combination of admissions tests is right for you. Should you take the GMAT and the LSAT? The GRE and the LSAT? 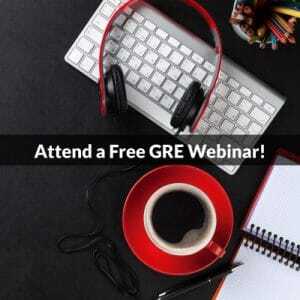 The GMAT and the GRE? Or just the GRE? All these possibilities are now theoretically possible for admission to this program since Columbia Law now accepts the GRE for admissions. If you have taken a practice or official LSAT, you might want to get a sense of how your performance could translate onto a GRE. In other words, these are some of the above score combinations on the GRE that would correlate with a 165 on the LSAT. Depending on your strengths and weaknesses in these different sections of the GRE, hitting one of these goals might be a manageable proposition, perhaps more easily attainable than bringing your LSAT score up from a 165 to a 171.